Ricochet protects metal, plastic, laminates, glass, & more with a heavy-duty transparent surface protection film tape. Choose from Clear or Colored Gloss, Clear Matte, & Anti-Graffiti films & tapes. All designed to protect surfaces in your most demanding applications. We are a solutions-based company with a goal to help you solve all of your surface protection problems. Our tapes protect from scratches, scuffing, vibrations, or normal wear & tear. 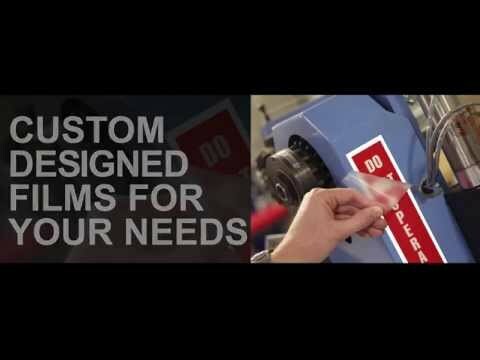 Excellent for labels, metal, plastics, glass, & other surfaces. We have many different converting capabilities that allow us to do custom-designs for your unique application. Whatever size or volume you need. Whether you need sheets, rolls, or die-cut pieces, we can manufacture it for you. Ricochet Protective Films can be used on many surfaces & substrates. Metal, plastic, wood, stone, glass, etc... This makes Ricochet Protects one of the most successful businesses in the surface protection industry. Our goal is to solve your surface protection problem. If you are in need of a surface protection solution, contact us so we can assist you. Even if we can't supply you the product you need, we will do our best to point you in the right direction. Here in Georgia USA, we manufacture a variety of heavy-duty, long-term surface protection films & industrial tape products. Our products are designed to protect surfaces against various costly maintenance or warranty issues. Such as; scuffs/scrapes/scratches, graffiti vandalism, vibration/rattles/squeaks, sand-blasting, & more. We even have colored films to change color optics. Our products are transparent & invisible when applied to a smooth surface. Known as "helicopter tape", our products expand on that namesake to serve countless applications. Available as a static-cling film or as a tape with a low or high tack pressure sensitive adhesive (PSA). Just peel & stick to the surfaces that you need to protect. Quick & forgiving installation for the assembly line or manufacturing process. Read more below about our products, solutions, & capabilities.